The government has published proposals to punish individuals who mishandle pension scheme management. Two new offences are proposed. The first will target individuals within firms who wilfully or recklessly mishandle pension schemes, endangering their workers’ pensions, by things such as chronic mismanagement of a business; or allowing huge unsustainable deficits/(losses) to build up; or taking huge investment risks; or a combination thereof. There will be a new custodial sentence of up to seven years’ imprisonment or an unlimited fine for this offence. 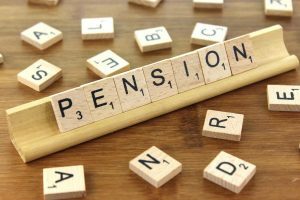 The second, which will result in an unlimited fine, will be targeting individuals who fail to comply with a Contribution Notice, which is issued by The Pensions Regulator requiring a specified amount of money to be paid into the pension scheme by that individual. The government will also introduce a new civil penalty of up to £1 million for this offence. New legislation will be required in order to bring these provisions into force and therefore they will not likely come into force until later this year at the earliest. However, now is the time for directors, pension fund trustees and other company officers charged with administering pension schemes to ensure that management and reporting regimes are in place and functioning correctly. We very often see company officers claiming that they were simply unaware of what was going on or didn’t understand due to complexity. These reasons will not protect a person facing prosecution and with imprisonment being a real prospect ignorance is no longer necessarily bliss. To discuss anything to do with pensions and corporate responsibility please contact us on 020 7388 8333 or email info@tuckerssolicitors.com and we will gladly assist.